No, no, not those Hams in Space! I meant Amateur Radio Operators that are Astronauts. Ever since Owen Garriot, W5LFL, flew aboard STS-9 in 1983, there have been a series of Ham Operators aboard the Space Shuttle and the International Space Station. There were also Russian Hams aboard the MIR space station and Hams from a number of countries have been up in space on the various flights. You may have been aware of this fact, or this might be the first time you have heard of it. It was a publicity coup for Ham Radio and NASA was fully in support of it. In fact, it couldn’t have happened without their support. Having Ham Radio represented and operated from space is a great publicity tool for NASA. It also could be used as a backup communications system in the event of serious malfunction aboard the spacecraft. I’d hate to see things go that wrong – I’m sure they have other backup systems, so it would have to be the third or fourth or fifth resort – but it really could be used in that capacity. So this is a good thing, right? A win-win for Hams and NASA alike, right? Well, maybe. At the time Owen flew in space (STS-9 was his second flight, but the first for Ham Radio) there were only a few Astronauts who held Ham Radio licenses. But suddenly, lots of new Astronauts were getting their licenses, often just before their scheduled flight. Now, a Ham license is not the hardest thing in the world to get. A reasonably intelligent and motivated person can do it with a few weeks study. 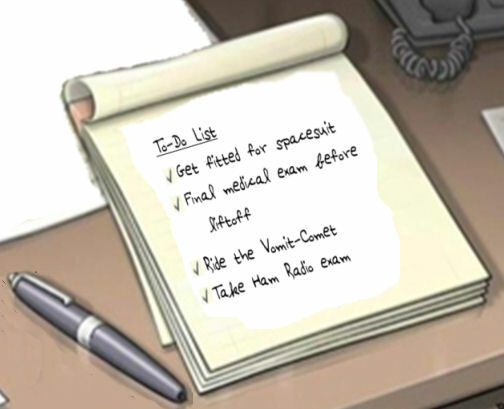 Intelligent and motivated are certainly attributes that apply to every Astronaut, so it seems they would have no problem. So what’s wrong with that? Well, nothing, but there is a big difference between an Astronaut who also happens to be passionately involved in Ham Radio and an Astronaut who adds getting a license to the (long) list of skills he has to master in order to fly. Clearly, there was some pressure from NASA to get Astronauts licensed. No doubt, some of them found it to be a hobby that they embraced. But I’ll bet the majority of them, once they made their token number of contacts from the ISS, probably never touched a Ham Radio again. Parading Ham Radio alongside NASA was strictly publicity, and really had little truth behind it. Well, that’s what happened and someone at the Board of Education contacted someone they knew who was a Ham, who contacted other Hams in Lockport and finally, it got back to the local Ham club. It was decided to offer to teach a Technician class license course at the High School and help out with setting up a QSO (conversation) with the Shuttle. So, a bunch of us who were involved with license classes and Volunteer Examiners, set up a class and taught it at the school. Students were recruited and a nice class was held. We managed to get a handful of them licensed in time for the flight. Well, it was a media darling. Everyone wanted to get a piece of it. Somehow the cable company got to be a sponsor as well as NYNEX (now Verizon) along with, I believe Pepsi. Why Pepsi? No idea, but they donated a bunch of banners. Now, you can imagine how complex a problem it must be to talk with the Space Shuttle using Ham Radio. Frequencies have to be pre-arranged. Orbits have to be plotted, and antennas aimed accordingly. They have to track the shuttle as it moves across the sky. We checked and, on the day of the planned demonstration, there was a good pass overhead that could provide a window of opportunity of 15-20 minutes to talk with the shuttle. All we had to do was to be allowed to set up the equipment. So what happened? Well, it was broadcast over the cable company’s local access channel. The actual radio link from the ground to the shuttle was done somewhere in New Zealand or Australia and fed into a telebridge and piped into the school – to the PA system in the auditorium, and to the cable feed – by the phone company. There wasn’t a radio in sight. Sure the kids were trotted up to the microphone to ask their pre-prepared questions, but there was no need for a license. What did this do for Ham Radio? Other than a general feel-good publicity event on a most general level, nothing for it in Lockport. The kids who studied and worked hard to learn the material for their licenses didn’t get to use them. One or two may have stuck with it on their own, but most of them lost interest. It got some play in the paper for a few days, but mostly was forgotten quickly. Bill Gregory? He retired from NASA and is a VP for a company in Arizona. I am unable to find a current Ham license for him today. The callsign I believe was assigned to him, KC5MGA, expired in 2005, ten years after it’s initial grant in January 1995, just a few months before his flight. He never renewed it. So why bring this up now? I don’t know. 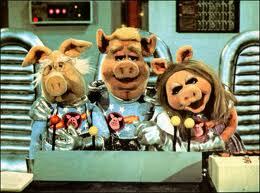 Every now and then someone trots out the fact that there have been Hams up in space as if it’s some great thing. I probably saw something watching Hamnation, an online video show about Ham Radio. I get frustrated by some of the people on that show. They feel like they must do everything in their power to show Hams and Ham Radio in the best light, so all they do is talk in glowing terms about the most positive things and anything else is ignored. They have such a case of rose-colored glasses, it’s sickening. You’ll never hear them say anything bad about anyone or anything connected with Ham Radio, even if it is deserved. And they regularly bring up Hams in Space as if it was the greatest thing ever for Ham Radio. To be fair, it’s not a bad thing, but it’s probably done more for NASA than it has for Amateur Radio. Allowing Hams who were aboard the Shuttle or Space Station to operate there as a publicity event as well as a recreational outlet for them would be good. Manufacturing Hams out of Astronauts in order to get some extra publicity, is not.